A royal coroner's court embarks Thursday on selecting a jury for an inquest into the death of Princess Diana and her companion Dodi Fayed a decade ago. The court will select at between seven and 11 jurors from a pool of up to 200 candidates, court officials said. The inquest is scheduled to start on Oct. 2. The princess and Fayed died in a high-speed car crash at the Pont d'Alma tunnel in Paris. Their driver, Henri Paul, also died. Police inquiries in France and Britain concluded that the crash was an accident and that the driver was intoxicated. Fayed's father, Mohamed al Fayed, contends that the couple were the victims of a plot orchestrated by Prince Philip and the British security services. Al Fayed's legal team will participate in the inquest. The inquest is expected to continue for at least six months, including a visit by the jury to the crash scene in Paris. Inquests must be held in Britain in cases of violent or unnatural death, a sudden death of unknown cause or a death in prison. A death abroad is subject to an inquest if the body is returned to Britain. 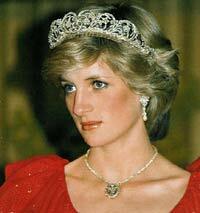 British authorities delayed holding an inquest in Diana's case until French legal proceedings were complete. A French judged ruled in 1999 that the crash was an accident. In 2002, France's highest court dropped manslaughter charges against nine photographers who pursued the car before it crashed or who took photos at the site. In 2003, three photographers were acquitted in a French case brought by al Fayed, who alleged they invaded his son's privacy by taking pictures. The inquest process began in Britain in January 2004, when coroner Michael Burgess asked John Stevens, former head of the Metropolitan Police, to investigate the case. Stevens issued his report in December, and he dismissed claims of a conspiracy. Preliminary hearings began in January with Elizabeth Butler-Sloss, a former family court judge, acting as coroner. Butler-Sloss withdrew from the case after al Fayed won a court ruling that a jury rather than the coroner should reach a verdict. A senior jurist, Justice Scott Baker, then was appointed to serve as coroner.